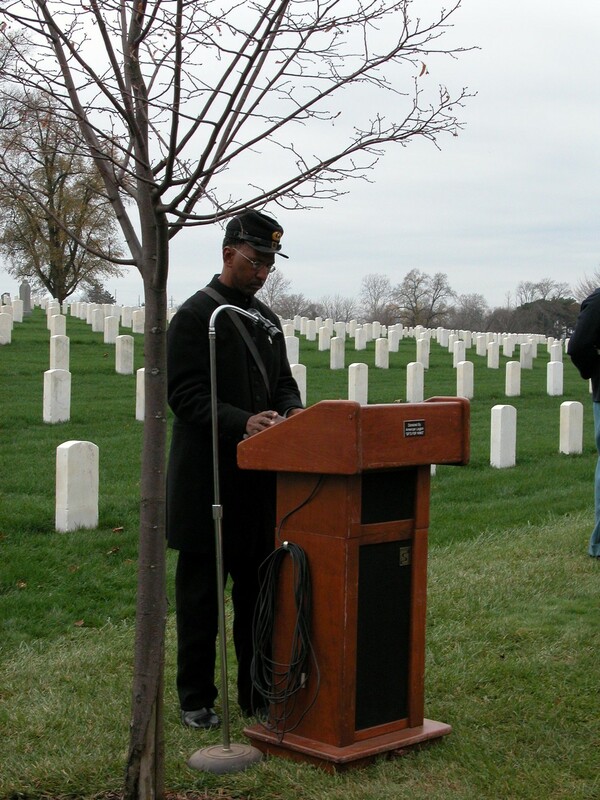 LADIES AND GENTLEMEN WELCOME to today’s ceremony - A solemn but joyous occasion, one reason, we received more than we asked for. 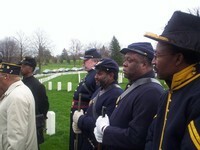 One may ask how did this event come about - please give me a few minutes to explain. Approximately a year ago it was requested that the marker over Joshua Dunbar’s resting place be replaced with a new marker to include his rank and both regiments in which he served during the Civil War. 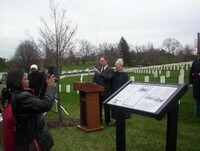 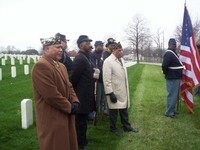 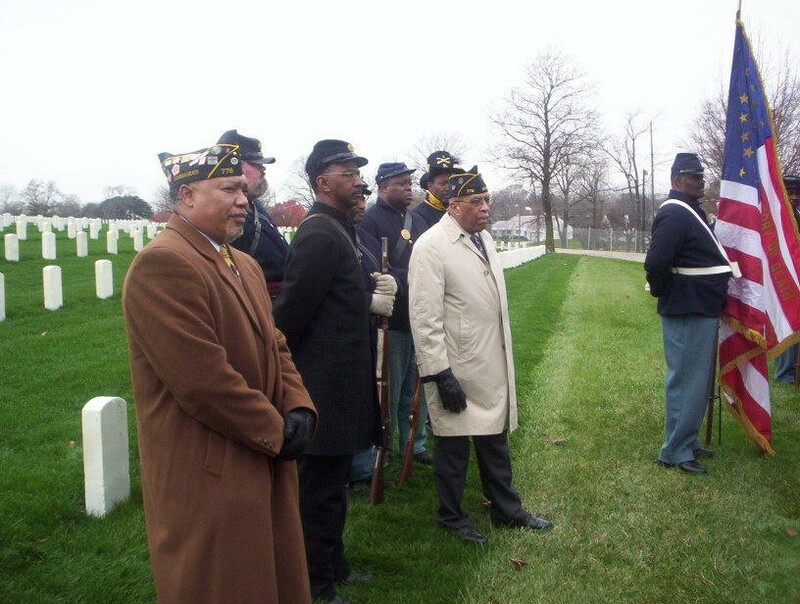 After providing the documentation to Mr. Patrick Lovett, Director, Dayton National Cemetery, he accepted and offered total support. 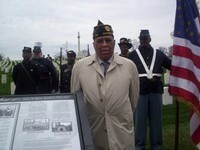 During the initial phase Mr. Lovett consulted with the National Cemetery historian who suggested that the marker not be replaced due to the historic nature, 119 years old, however, it was suggested that an interpretative sign be placed as close as possible to Sergeant Dunbar’s resting place. 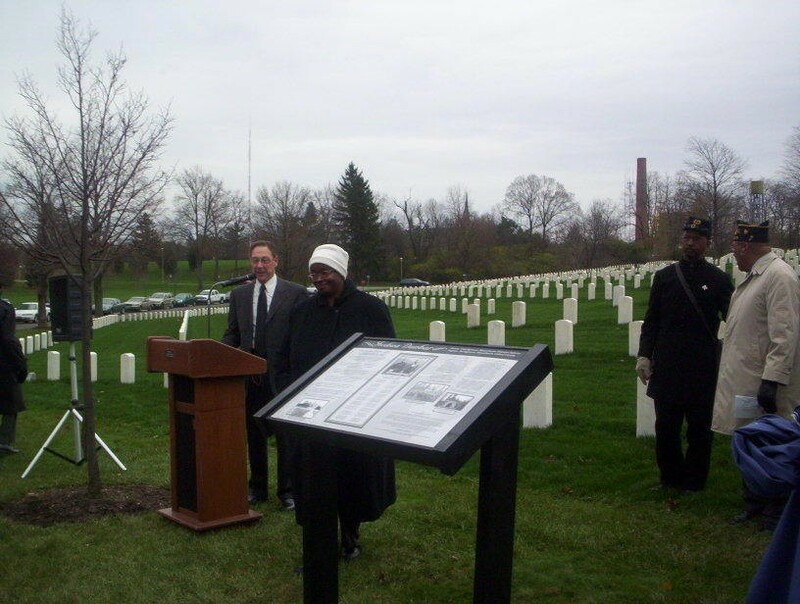 Colonel John Mitchell, Ohio Military Reserves, volunteered to sponsor the project and conducted the fundraising effort with the full support of Mr. Lovett and his staff. 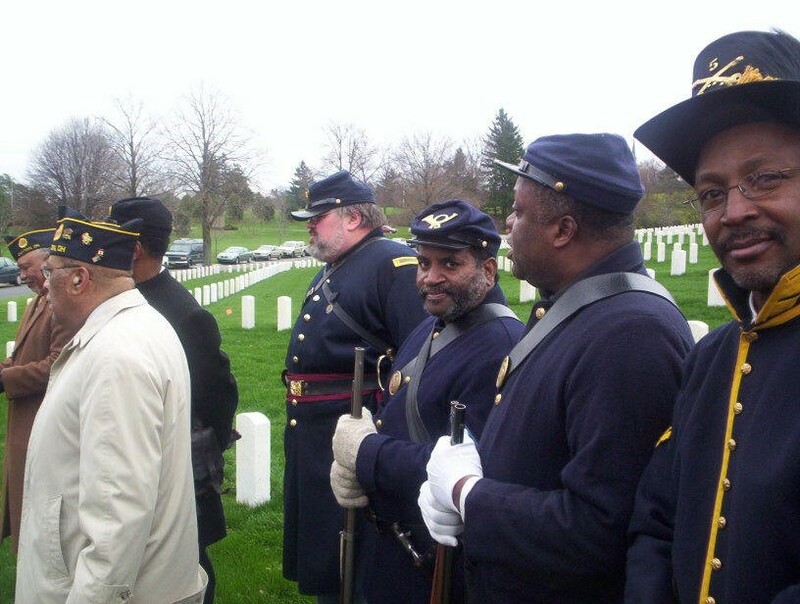 Thanks to those who supported this effort which brings us together today to a ceremony in remembrance of a truly patriotic American, an ex-slave who served his country despite ongoing medical problems and the fact he was twice as old as the average soldier. He was determined to assist in securing freedom for all of his people. Also he left behind a legacy, a brilliant son whose words have enriched the minds of millions of people throughout the world. Much of that father to son inspiration came about on these historic grounds while the father was a patient in the National Home for Disabled Volunteer Soldiers. 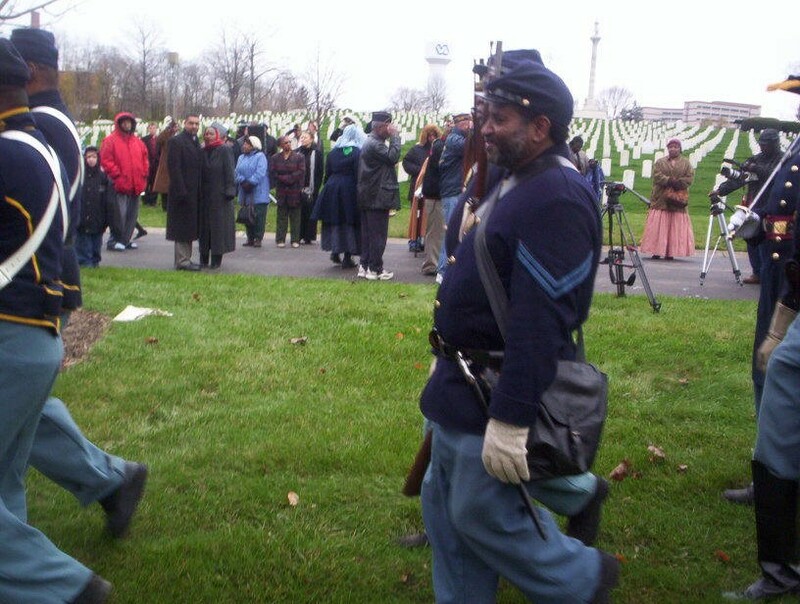 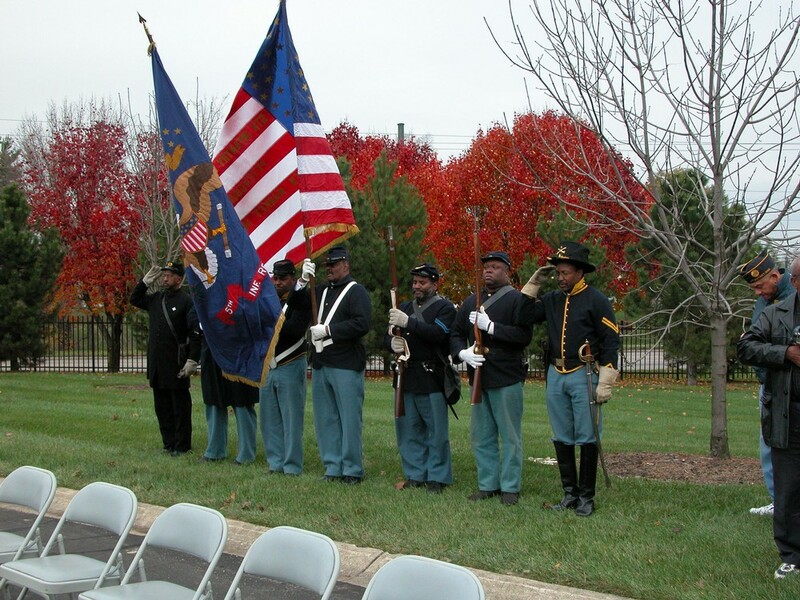 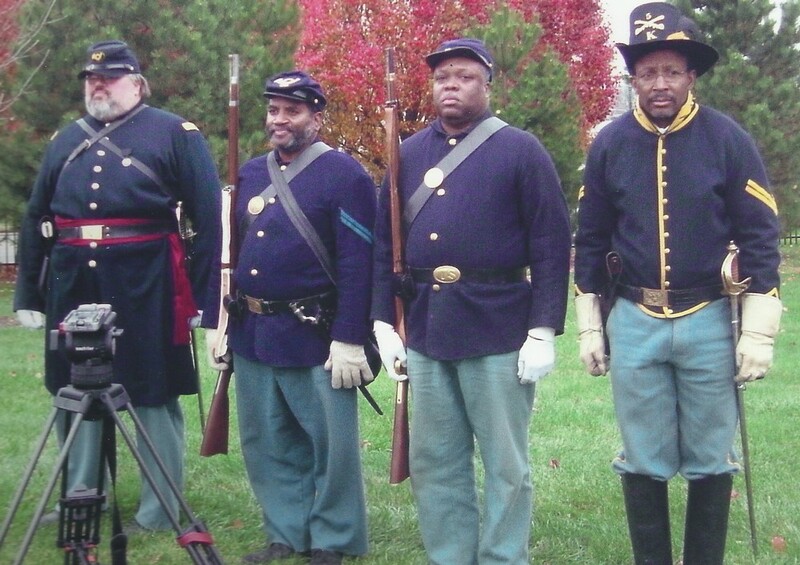 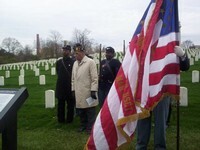 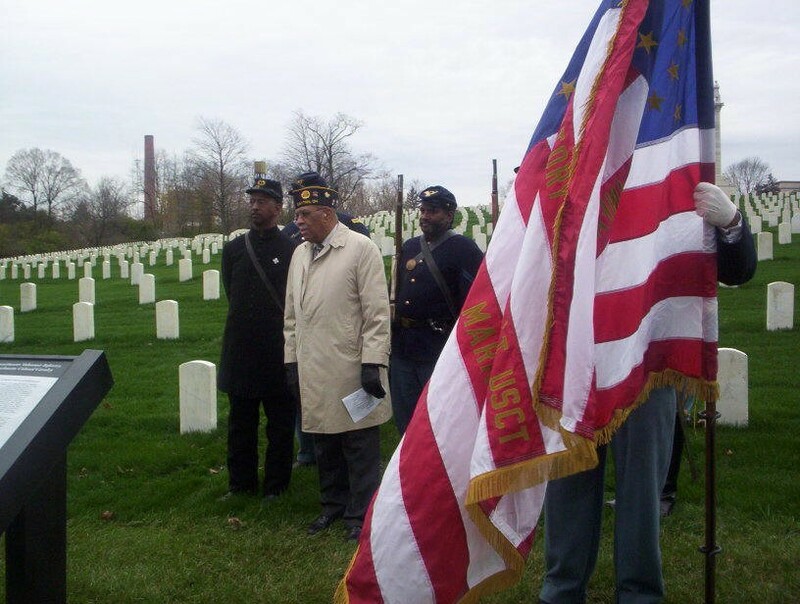 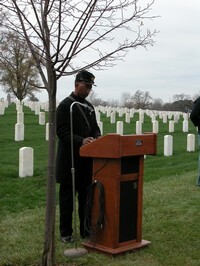 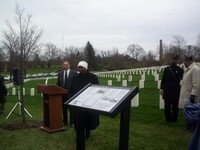 Thank you, and now we will have the Invocation by Chaplain Clarke Morgan of the 5th USCT Civil War re-enactors from Toledo, Ohio.